For as long as I can remember, I have been very fascinated with the concept of twins. It amazes me how two people who are so very similar can be born at the same time. Throughout my lifetime, I haven’t had the pleasure of knowing too many sets of twins, but when I meet them, I am always very intrigued. Twins are very interesting to me for many reasons. Now, I’m not an expert on how twins are formed, but here’s what I can recall from science class: there are two kinds of twins, monozygotic and dizygotic. These kinds of twins are more commonly known as identical and fraternal. Monozygotic twins begin as one egg that later separates into two eggs, so both eggs share identical DNA. Dizygotic twins result from two eggs that are fertilized by two different sperm at the same time. This creates two babies who have their own DNA, but are still born at the same time. I think the way that twins act with each other is so interesting. Some sets of twins are best friends, while other sets of twins do their own thing entirely. I have seen both of these situations happen in real life. For example, a set of twins that I went to elementary school with were very different, and had completely different groups of friends. But another set of twins that I went to high school with were absolute best friends, and were never found separate from each other. 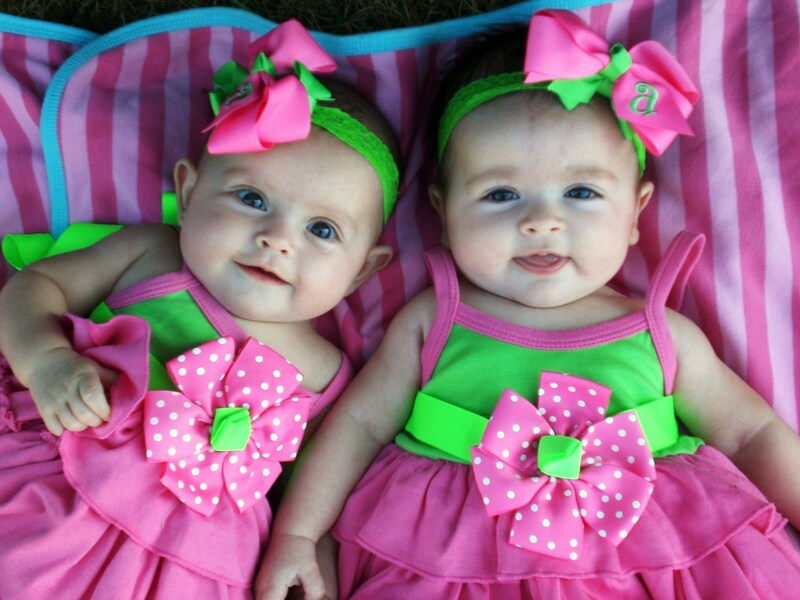 I especially love when twins are young, and their mothers dress them in matching outfits. One rumor that has become very popular is the “twin telepathy” story. According to this article, there is no scientific proof that twin telepathy is a real thing. Twins cannot actually communicate with each other via mind-reading or intuition. This kind of situation is often portrayed in television shows or movies. While it would be extremely fascinating if this concept was true, there is no proof that that twins can communicate in this way. According to Baby Center, having twins is not always very likely. Three years ago, studies showed that about 3 in every 100 births resulted in twins. This is not a very high number. Now, however, twins are much more likely to occur. The article I read suggested that this recent spike in women giving birth to multiples is a result in an increase of the use of assisted reproductive methods. From what I’ve learned, twins are more to occur likely when in vitro fertilization is used, or other forms of assisted reproduction. Take, for example, the TV show Jon and Kate Plus 8. The mother, Kate Gosselin, first gave birth to twins, and then a few years later, had sextuplets. This was possible with the help of assisted reproduction. In vitro fertilization is common today, but it is also very expensive. Not everyone has the means that are necessary to have this operation done. All in all, twins are extremely fascinating. They can either be exact copies of each other, or different types of people entirely. Twins are interesting to learn about, even though they are really just regular people. In any case, double the children = double the fun! This entry was posted in Uncategorized on September 15, 2016 by Madeline Dittrich. I enjoyed reading this since I am actually a triplet so I have a unique perspective to your post and the article. I never actually thought people believed in twin telepathy to be honest, but since it’s confirmed that it does not exist it’s nice to know I’m not missing out on anything. I do not know what causes some twins to be so close and others to be polar opposites but I have seen examples of both separate from myself. Personally, my siblings and I are actually very close and always shared the same friends/ had many of the same interests. I am not sure why that is, if it is caused by the way we were raised or we were just naturally born to be very similar. It definitely raises questions for myself explaining why we are naturally so close and alike and causes me to want to look into it more. Obviously all twins are different but I agree that it is more common for twins to be super alike, or polar opposites rather than sharing a middle group with just some similarities. This article was very interesting. Thanks for sharing! I have also always found myself to be extremely interested in twins and how similar they can be at times. I am currently taking a Psychology class, and we have discussed identical and fraternal twins multiple times. We talked about the fact that usually, if one identical twin is born with some sort of disease or anything, then the other will also be born with it. We learned that identical twins usually have very similar genetic make ups and any differences in identical twins are usually because of their environments, not because of their genetic make ups. Thank you for sharing!! I too find twins to be fascinating. I have actually lived with twins my whole life, my brother and sister are a pair and my room mate has an identical twin. I truly believe twins have a special bond that no non-twin would understand. Before my brother and sister could speak they communicated with their own language!! 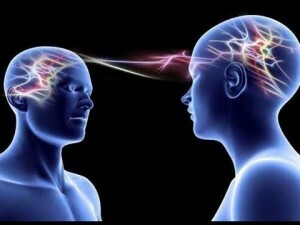 http://paranormal.about.com/od/espandtelepathy/a/Twin-Telepathy-Best-Evidence.htm i found this story of an interesting example of telepathy. I’m actually friends with a few sets of twins and my grandpa also had a twin. I also thought it was fascinating to see how they interacted with each other and how they can be similar in some areas and different in other. If you’re interested in learning more about twins, I found this interesting article (http://www.npr.org/sections/health-shots/2016/04/28/475905344/genetic-variations-help-make-fraternal-twins-more-likely) on how and why fraternal twins genetically run in families. I would suggest asking twins about their relationship with each other. I don’t believe in telepathy, but it would be interesting to interrogate them on the matter. Ask them if they actually think they can communicate with each other in a mysterious manner. I would bet that most would laugh it off and deny it outright, but perhaps others would think otherwise–that they actually CAN engage in telepathy. I wonder if twins see themselves as benevolent or evil versions of each other. I bet if I had a twin, I would be the ‘evil’ one. I would imagine that twins could be very competitive, although I have never actually observed this trait myself.